Open to both boys and girls! 12th grade players strongly encouraged to volunteer coach for Honors Program through your school! Very limited space in each league ~ Sign up early! this form MUST be signed and returned to the Program Coordinator prior to participating. of injury to my child. event of injury or sickness. White – Kennedy Porter 10, Saige Ashcroft 7, Olivia Carpenter 8, Brenan Harvey 5, Sophia Corbin 5, Jordyn Gains 3, Camryn McLain 10, Maci Miller 7, Riley Jenkins 3. Gold – Shayleigh Gard 7, Hallie Scott 5, Addison Moon 16, Emma Casto 11, Natalie Lauer 6, Frances Guice 5, Madison Archer 5. Red – Soraya Brown 7, Kiley Dennison 6, Alivia Harrington 7, Kazia Blankenship 3, Emma Feight 3, Kayla Marlow 5, Gracie Duncan 8, Maddy Nichols 10. Blue - Allison Asbury 4, Lucyndia Bell 6, Lainey Kimble 3, Brynn Frye 6, Miley Graham 3, Chloe Gribble 3, Lakyn Brown 3, Kinley Butcher2, Katlyn Wood 6. 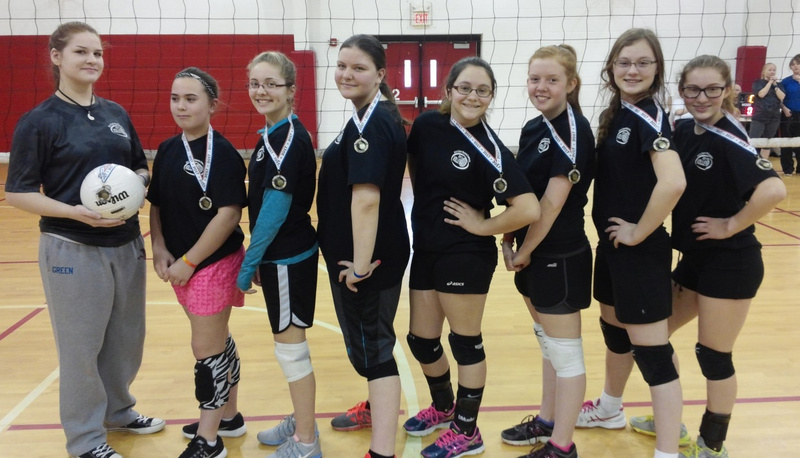 Gold – Addison Moon 12, Emma Casto 15, Natalie Lauer 9, Frances Guice 5, Madison Archer 5, Shayleigh Gard 9, Hallie Scott 6. 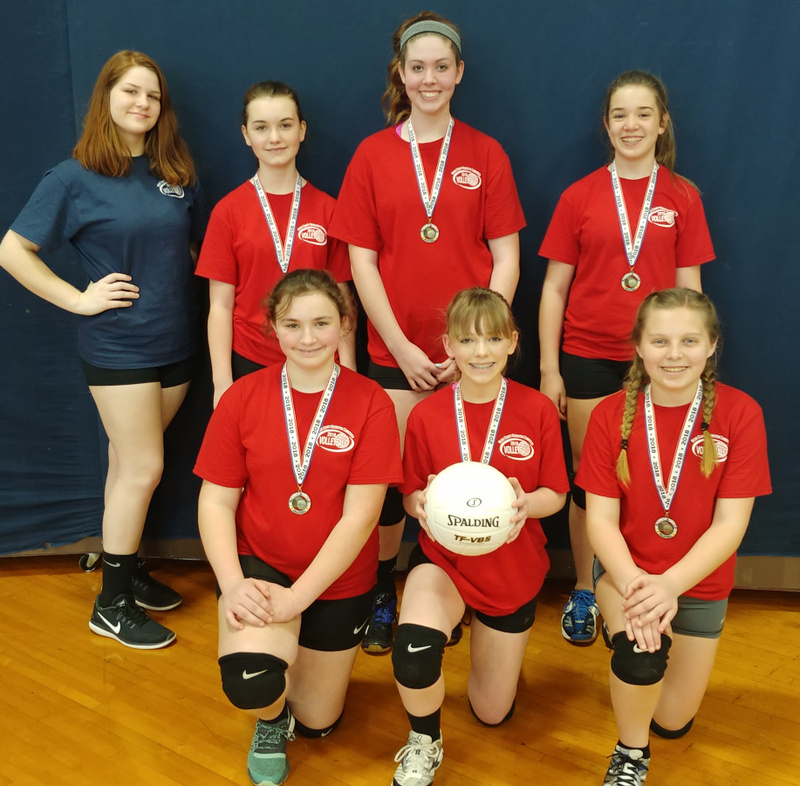 Blue – Allison Asbury 13, Lucyndia Bell 6, Gabi Davis 5, Kinley Butcher 6, Katlyn Wood 7, Chloe Gribble 7, Miley Graham 4, Rylee Davis 1, Lainey Kimble 2. White – Sophia Corbin 4, Jordyn Gains 3, Riley Jenkins 3, Olivia Carpenter 17, Brenan Harvey 10, Kennedy Porter 13, Mace Miller 3, Saige Ashcroft 2, Camryn McLain 6. Red - Alivia Harrington 5, Maddy Nichols 15, Emma Feight 12, Kazia Blankenship 5, Soraya Brown 10, Kayla Marlow 2, Gracie Duncan 5, Kiley Dennison 2. White – Nicole Holbert 10, Meadow Mowery 9, Hailey Carter 10, Maya Reynolds 3, Haley Holbert 12, Maycie-Jo Harman 4, Joscelyn Anderson 2. Gold – Rileigh Dennison 6, Allison Mullins 11, Leah McFann 7, Reagan Parsons 5, Layla Jackson 5, Gracelyn Smith 4. Blue – Shilyn Butcher 15, Avery Varner 6, Lillia Boice 6, Hannah Vaught 4, Darby Harper 4, Roxie Sprague 5, Morgan Smith 5, Allyson Monk 6, Morell Uppole 4. Red – Brylee Hatcher 4, Isabella Wolfe 4, Lanie Johnson 9, Ava Parsons 14, Alana Cooper 7, Laken Collins 6, Josey Vingino 3, Lillie Jett 6. Gold – Reagan Pasons 18, Rileigh Dennison 10, Leah McFann 15, Layla Jackson 9, Gracelyn Smith 7. Blue – Shilyn Butcher 7, Avery Varner 8, Lillia Boice 6, Hannah Vaught 8, Darby Harper 3, Roxie Sprague 3, Morgan Smith 8, Allyson Monk 2, Morell Uppole 7. White – Nicole Holbert 10, Meadow Mowery 5, Hailey Carter 6, Maya Reynolds 14, Haley Holbert 8, Maycie-Jo Harman 2, Joscelyn Anderson 4. Red – Alana Cooper 15, Lillie Jett 6, Lanie Johnson 6, Josey Vingino 5, Laken Collins 4, Isabella Wolfe 2, Brylee Hatcher 3, Nicole Holbert 3. White – Cami Derenberger 17, Brooklyn Smith 8, Kaylee Hoste 4, Loumasi Lott 6, Jaiden Taylor 11, Claudia Church 3, Jayla Gard 7. Gold – Tori Hoste 7, Lindsey Johnson 12, Jadyn Beall 8, Logan Bowman 15, Lanie Johnson 8, Morgan Smith 8. Red – Jasmine Judy 14, Emily Westfall 9, Grace Williams 12, Paige Caldwell 8, Delaney Parsons 10, Haylen Irvine 7, Hailey Carter 5. Blue – Shilyn Butcher 5, Kaleigh Eakle 9, Amaya Elkins 7, Kaitlyn Murray 15, Courtney Winter 17, Skylee Cox 6. White – Cami Derenberger 10, Brooklyn Smith 11, Kaylee Hoste 7, Loumasi Lott 10, Claudia Church 4, Jayla Gard 7. Red – Jasmine Judy 11, Emily Westfall 5, Grace Williams 5, Paige Caldwell 7, Delaney Parsons 10, Haylen Irvine 6, Hailey Carter 2. Gold – Tori Hoste 10, Lindsey Johnson 10, Lindsey Johnson 7, Logan Bowman 7, Lanie Johnson 5, Morgan Smith 10. Blue – Shilyn Butcher 3, Courtney Winter 5, Skylee Cox 11, Kaitlyn Murray 5, Kaleigh Eakle 5, Amaya Elkins 4. Katlyn Wood 8, Brynn Frye 12, Miley Graham 10, Allison Asbury 20, Lainey Kimble 3, Chloe Gribble 4, Kinley Butcher 3. Gold – Addison Moon 10, Emma Casto 5, Natalie Lauer 7, Aubrey Welch 11, Brooklyn Miller 8, Frances Guice 9, Madison Archer 4. White – Jordyn Gains 7, Riley Jenkins 7, Kennedy Porter 14, Saige Ashcroft 5, Brenan Harvey 6, Olivia Carpenter 7, Sophia Corbin 8, Maci Miller 5. Red – Emma Feight 10, Kayla Marlow 16, Alivia Harrington 11, Kiley Dennison 6, Gracie Duncan 5, Maddy Nichols 16. Blue – Shilyn Butcher 11, Morgan Smith 16, Roxie Sprague 5, Darby Harper 5, Allyson Monk 11, Avery Varner 7, Lillia Boice 6, Morell Uppole 7. Gold – Layla Jackson 8, Gracelyn Smith 6, Ellie Nedeff 5, Allison Mullins 7, Leah McFann 19, Rileigh Dennison 12. White – Maycie-Jo Harman 13, Maya Reynolds 11, Haley Holbert Hailey Carter 10, Joscelyn Anderson 6, Nicole Holbert 14. Red – Lanie Johnson 3, Ava Parsons 11, Lillie Jett 5, Josey Vingino 6, Alana Cooper 8, Laken Collins 4, Isabella Wolfe 4. Gold – Morgan George 7, Jadyn Beall 15, Lindsey Johnson 9, Logan Bowman 15, Morgan Smith 5, Lanie Johnson 3. Blue – Courtney Winer 14, Kaleigh Eakle 6, Amaya Elkins 8, Kaitlyn Murray 12, Shilyn Butcher 5, Skylee Cox 9. White – Cami Derenberger 22, Jaiden Taylor 9, Kaylee Hoste 8, Loumasi Lott 6, Brooklyn Smith 11, Claudia Church 2. Jasmine Judy 11, Grace Williams 10, Paige Caldwell 6, Emily Westfall 7, Haylen Irvine 7, Hailey Carter 10. 1:00 – Court 1: White (5-2) vs. Red (1-6); Court 2: Blue (6-0-1) vs. Gold (1-5-1). 1:45 – Court 1: Losers play for 3rd; Court 2: Winners play for 1st. 2:30 – Court 1: White (3-4) vs. Red (4-3); Court 2: Gold (6-2) vs. Blue (1-6). 3:15 – Court 1: Losers play for 3rd; Court 2: Winners play for 1st. 4:00 – Court 1: White (4-3) vs. Red (3-4); Court 2: Gold (5-2) vs. Blue (2-5). 4:45 – Court 1: Losers play for 3rd; Court 2: Winners play for 1st. Gold (1-4-1) – Madison Archer 4, Natalie Lauer 7, Brooklyn Miller 4, Aubrey Welch 12, Shayleigh Gard 18, Emma Casto 9, Addison Moon 5. Red (1-5) – Alivia Harrington 8, McKinzie Anthony 8, Gracie Duncan 5, Justice Anthony 3, Soraya Brown 7, Kazia Blankenship 4, Maddy Nichols 9, Kayla Marlow 8. Blue (5-0-1) – Allison Asbury 20, Katlyn Wood 16, Kinley Butcher 5, Chloe Gribble 15, Miley Graham 8. White (4-2) – Brenan Harvey 4, Kennedy Porter 5, Jordyn Gains 6, Olivia Carpenter 6, Maci Miller 3, Saige Ashcroft 3, Willow Richmond 3, Camryn McLain 5, Riley Jenkins 3. 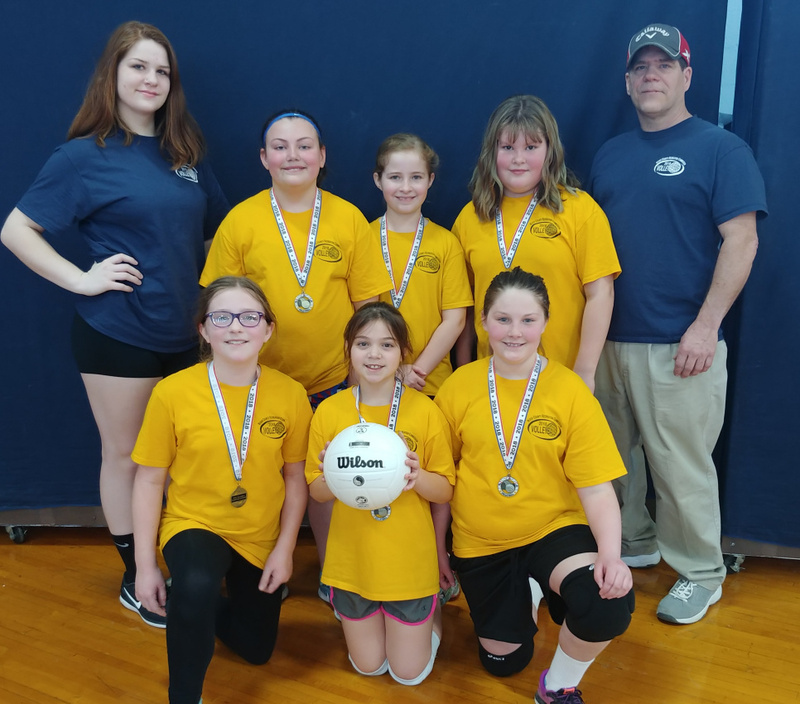 Gold (1-5) – Leah McFann 28, Allison Mullins 5, Gracelyn Smith 3, Ellie Nedeff 4, Reagan Parsons 5, Layla Jackson 2, Rileigh Dennison 12. Red (4-2) – Lillie Jett 9, Alana Cooper 8, Isabella Wolfe 3, Lainie Johnson 6, Ava Parsons 14, Laken Collins 3, Brylee Hatcher 10. Blue (5-1) – Morgan Smith 12, Roxie Sprague 5, Allyson Monk 7, Hannah Vaught 11, Avery Varner 5, Shilyn Butcher 12, Lilia Boice 5, Morell Uppole 2. White (2-4) – Meadow Mowery 5, Micah Bennett 6, Hailey Carter 9, Maya Reynolds 8, Haley Holbert 7, Maycie-Jo Harman 3, Joscelyn Anderson 3, Nicole Holbert 8. White (3-3) – Cami Derenberger 28, Micah Bennett 4, Brooklyn Smith 12, Jayla Gard 5, Loumasi Lott 4, Jaiden Taylor 10, Kaylee Hoste 2. Blue (2-4) – Kaitlyn Murrray 14, Shilyn Butcher 4, Hallie Bigley 5, Kaleigh Eakle 14, Mackenzie Byrd 6, Courtney Winter 6. Gold (4-2) – Logan Bowman 14, Morgan George 15, Lindsey Johnson 4, Tori Hoste 4, Jadyn Beall 6, Lanie Johnson 4, Morgan Smith 6. Red (3-3) – Paige Caldwell 16, Hailey Carter 8, Grace Williams 9, Delaney Parsons 7, Haylen Irvine 2, Emily Westfall 3. White – Saige Ashcroft 6, Kennedy Porter 11, Brenan Harvey 16, Riley Jenkins 3, Jordyn Gains 10, Camryn McLain 10, Olivia Carpenter 10, Maci Miller 4. 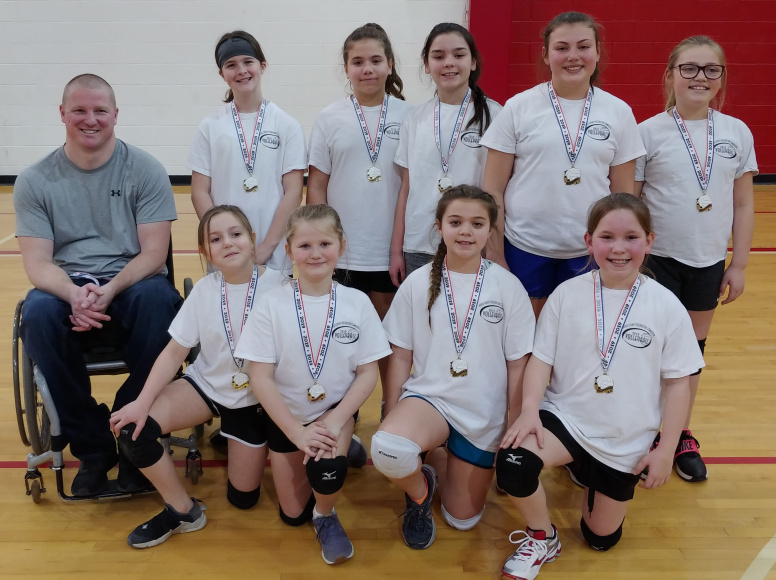 Gold – Addison Moon 4, Emma Casto 13, Aubrey Welch 6, Brooklyn Miller 6, Madison Archer 5, Frances Guice 7, Natalie Lauer 7, Shayleigh Gard 6, Malia Williams 2. Blue – Lainey Kimble 8, Brynn Frye 17, Katlyn Wood 14, Chloe Gribble 11, Allison Asbury 25. Red – Alivia Harrington 11, Kiley Dennison 5, Kazia Blankenship 8, Justice Anthony 4, Jaiden Vargas 9, Gracie Duncan 5, Kayla Marlow 5. White – Macyie-Jo Harman 8, Micah Bennett 7, Joscelyn Anderson 12, Haley Holbert 10, Meadow Mowery 9, Maya Reynolds 5, Nicole Holbert 6. Gold – Lean McFann 20, Layla Jackson 6, Gracelyn Smith 4, Allison Mullins 10, Kayleigh Chancellor 7, Rileigh Dennison 4, Ellie Nedeff 3. Red – Alana Cooper 19, Josey Vingino 5, Lanie Johnson 8, Brylee Hatcher 1, Isabella Wolfe 5, Laken Collins 9, Ava Parsons 15. Blue – Morell Uppole 13, Darby Harper 8, Roxie Sprague 10, Morgan Smith 13, Avery Varner 6, Lillia Boice 12. Red – Jasmine Judy 8, Paige Caldwell 11, Grace Williams 10, Delaney Parsons 21, Haylen Irvine 7, Emily Westfall 6. Blue – Mackenzie Byrd 4, Skylee Cox 6, Courtney Winter 7, Kaitlyn Murray 26, Brylee Hatcher 6, Kaleigh Eakle 7. White – Brooklyn Smith 4, Cami Derenberger 14, Jaiden Taylor 12, Jayla Gard 5, Loumasi Lott 16, Micaeh Bennett 7, Claudia Church 5. 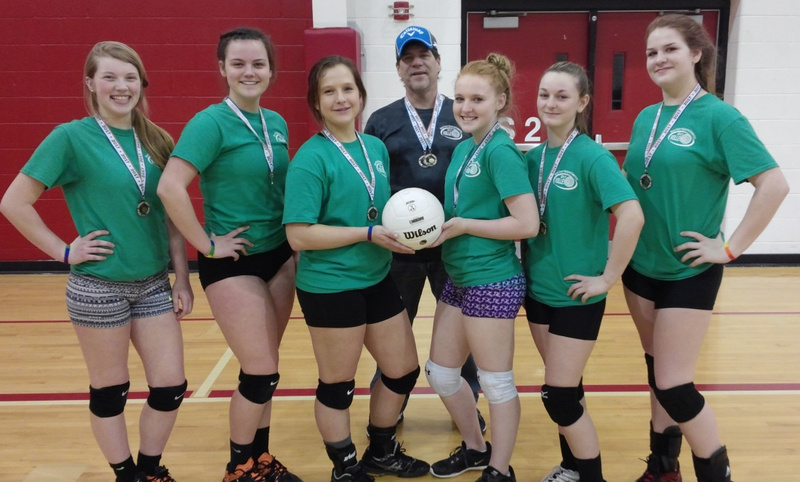 Gold – Morgan Smith 16, Lindsey Johnson 6, Logan Bowman 6, Jadyn Bell 8, Lanie Johnson 9, Morgan George 3. White – Camryn McLain 8, Sophia Corbin 9, Saige Ashcroft 17, Jordyn Gains 10, Willow Richmond 5, Maci Miller 9, Riley Jenkins 7. Blue – Brynn Frye 12, Chloe Gribble 5, Lucyndia Bell 10, Lakyn Brown 6, Lainey Kimble 5, Allison Asbury 10, Katlyn Wood 12. Gold – Aubrey Welch 7, Emma Casto 10, Malia Williams 6, Madison Archer 6, Frances Guice 6, Brooklyn Miller 3, Natalie Lauer 9, Shayleigh Gard 6, Addison Moon 5, Hallie Scott 3. Blue – Hannah Vaught 18, Lillia Boice 17, Morell Uppole 11, Morgan Smith 10, Avery Varner 5, Roxie Sprague 4. White – Maya Reynolds 9, Nicole Holbert 12, Haley Holbert 9, Meadow Mowery 6, Maycie-Jo Harman 5, Hailey Carter 6. Red – Brylee Hatcher 19, Alana Cooper 12, Lainie Johnson 7, Isabella Wolfe 4, Josey Vingino 4, Lillie Jett 5, Laken Collins 6, Ava Parsons 4. Gold – Layla Jackson 10, Leah McFann 13, Gracelyn Smith 7, Allison Mullins 9, Rileigh Dennison 10. White – Jayla Gard 8, Kaylee Hoste 5, Loumasi Lott 8, Jaiden Taylor 17, Brooklyn Smith 7, Cami Derenberger 20. Red – Jasmine Judy 9, Hailey Carter 10, Emily Westfall 4, Delaney Parsons 10, Grace Williams 7, Paige Caldwell 6. Gold – Logan Bowman 8, Morgan Smith 6, Lanie Johnson 7, Jadyn Beall 7, Lindsey Johnson 10, Brylee Hatcher 15. Blue – Courtney Winter 10, Hallie Bigley 6, Kaitlyn Murray 13, Amaya Elkins 5, Kaleigh Eakle 6, Skylee Cox 2, Mackenzie Byrd 7. Blue – Allison Asbury 13, Brynn Frye 17, Chloe Gribble 7, Kinley Butcher 7, Lucyndia Bell 9, Miley Graham 7, Lainey Kimble 3, Katlyn Wood 5. White – Camryn McLain 13, Sophia Corbin 10, Jordyn Gains 15, Maci Miller 12, Willow Richmond 7, Riley Jenkins 7. Red – Emma Feight 8, Kayla Marlow 10, Soraya Brown 6, Maddy Nichols 8, Alivia Harrington 5, McKinzie Anthony 4, Kazia Blankenship 3, Jaiden Vargas 4, Kiley Dennison 2. Gold – Addison Moon 4, Aubrey Welch 7, Natalie Lauer 6, Madison Archer 5, Hallie Scott 2, Brooklyn Miller 2, Shayleigh Gard 4, Malia Williams4, Frances Guice 7, Emma Casto 2. Red – Lillie Jett 10, Ava Parsons 7, Lainie Johnson 10, Laken Collins 4, Isabella Wolfe 5, Josey Vingino 3, Brylee Hatcher 11. White – Nicole Holbert 5, Maya Reynolds 5, Maycie-Jo Harman 3, Hailey Carter 5, Haley Holbert 2, Micah Bennett 4, Joscelyn Anderson 5, Meadow Mowery 3. Blue – Shilyn Butcher 9, Allyson Monk 3, Avery Varner 5, Hannah Vaught 8, Roxie Sprague 5, Morgan Smith 11, Darby Harper 2, Lillia Boice 7. Gold – Leah McFann 4, Layla Jackson 3, Gracelyn Smith 4, Reagan Parsons 5, Ellie Nedeff 3, Kayleigh Chancellor 8, Rileigh Dennison 5, Allison Mullins 3. Blue – Amaya Elkins 3, Skylee Cox 3, Mackenzie Byrd 4, Shilyn Butcher 6, Kaleigh Eakle 10, Courtney Winter 22, Kaitlyn Murray 7. White – Loumasi Lott 11, Micah Bennett 10, Brooklyn Smith 11, Jayla Gard 7, Kaylee Hoste 4, Claudia Church 10. Gold – Morgan Smith 14, Lanie Johnson 6, Tori Hoste 15, Logan Bowman 4, Jadyn Bell 4, Lindsey Johnson 8, Morgan George 8. Red – Haylen Irvine 9, Paige Caldwell 4, Jasmine Judy 9, Hailey Carter 7, Grace Williams 11, Emily Westfall 6, Delaney Parsons 6. White – Jordyn Gains 7, Camryn McLain 17, Olivia Carpenter 5, Brenan Harvey 6, Riley Jenkins 4, Saige Ashcroft 6, Maci Miller 9, Willow Richmond 4, Kennedy Porter 17. Gold –Brooklyn Miller 4, Addison Moon 8, Malia Williams 6, Natalie Lauer 4, Madison Archer 4, Shayleigh Gard 4, Emma Casto 3, Aubrey Welch 5, Ashley Sewell 4, Frances Guice 5. Blue – Lucyndia Bell 29, Katlyn Wood 6, Lakyn Brown 8,Brynn Frye 5, Kinley Butcher 9, Chloe Gribble 2, Allison Asbury 4, Miley Graham 4. Red – Emma Feight 8, Kayla Marlow 3, Maddy Nichols 3, Gracie Duncan 5, McKinzie Anthony 3, Soraya Brown 13, Kazia Blankenship 5, Alivia Harrington 2. White – Meadow Mowery 18, Hailey Carter 22, Joscelyn Anderson 14, Micah Bennett 14, Maycie-Jo Harman 7. Gold – Gracelyn Smith 5, Ellie Nedeff 5, Reagan Parsons 11, Allison Mullins 9, Aaliyah Johnson 4, Leah McFann 4, Layla Jackson 4. Blue – Rileigh Dennison 15, Avery Varner 14, Hannah Vaught 7, Morell Uppole 15, Morgan Smith 13, Lillia Boice 5, Roxie Sprague 5. Red – Lainie Johnson 6, Josey Vingino 6, Isabella Wolfe 5, Ava Parsons 7, Lake Collins 5, Lillie Jett 12, Brylee Hatcher 9, Alana Cooper 6. Red – Jasmine Judy 14, Grace Williams 15, Delaney Parsons 10, Haylen Irvine 11, Emily Westfall 7. Blue – Kaitlin Murray 12, Mackenzie Byrd 12, Skylee Cox 11, Shilyn Butcher 9, Courtney Winter 13, Kaleigh Eakle 12. Gold – Morgan George 6, Tori Hoste 16, Lanie Johnson 12, Logan Bowman 12, Jadyn Beall 9, Lindsey Johnson 10, Morgan Smith 9. White – Claudia Church 4, Micah Bennett 6, Jayla Gard 6, Loumasi Lott 9, Jaiden Taylor 3, Cami Derenberger 5, Kayla Hoste 11. White – Maci Miller 12, Kennedy Porter 8, Saige Ashcroft 6, Sophia Corbin 3, Willow Richmond 2, Riley Jenkins 2, Olivia Carpenter 3, Brenan Harvey 6, Camryn McLain 5, Jordyn Gains 2. Emma Feight 6, Justice Anthony 3, Alivia Harrington 3, Kazia Blankenship 5, Maddy Nichols 4, Soraya Brown 1, Jaiden Vargas 5, Gracie Duncan 3. 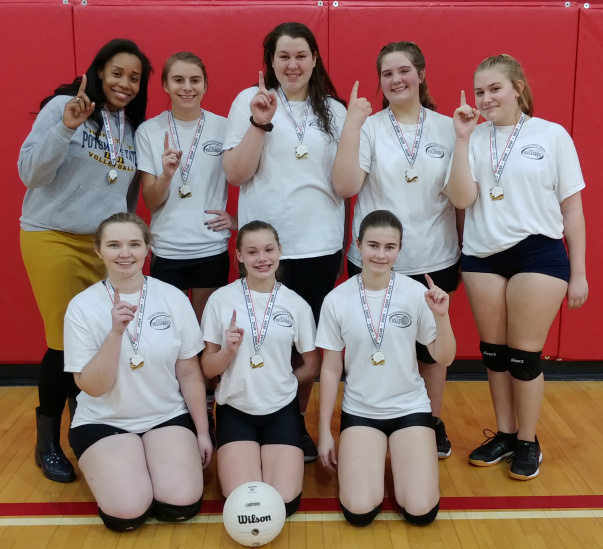 Gold – Shayleigh Gard 13, Addison Moon 3, Brooklyn Miller 1, Aubrey Welch 5, Hallie Scott 2, Natalie Lauer 1, Ashley Sewell 1, Madison Archer 1, Frances Guice 1. Blue – Allison Asbury 7, Miley Graham 1, Lainey Kimble 1, Brynn Frye 4, Kinley Butcher 1, Chloe Gribble 2, Lakyn Brown 7, Katlyn Wood 3, Lucyndia Bell 8. Red – Lillie Jett 4, Laken Collins 5, Micah Bennett 7, Ava Parsons 1, Brylee Hatcher 4, Alana Cooper 19, JoseyVingino 4, Isabella Wolfe 3, Lainie Johnson 3. White – Ava Cool 3, Joscelyn Anderson 2, Hailey Carter 5, Nicole Holbert 3, Rylee Wolfe 3, Maya Reynolds 5. Blue – Avery Varner 2, Morell Uppole 5, Lillia Boice 2, Allyson Monk 4, Shilyn Butcher 7, Hannah Vaught 15, Darby Harper 3, Roxie Sprague 6, Morgan Smith 6. Gold – Kayleigh Chancellor 1, Layla Jackson 7, Aaliyah Johnson 1, Rileigh Dennison 2, Allison Mulins 2, Gracelyn Smith 1, Lean McFann 5, Ellie Nedeff 2. Blue – Kayleigh Eakle 21, Hallie Bigley 10, Kaitlyn Murray 6, Maya Elkins 4, Mackenzie Byrd 4, Shilyn Butcher 3. Gold – Jadyn Beall 6, Lanie Johnson 7, Logan Bowman 8, Morgan Smith 3, Lindsey Johnson 2, Tori Hoste 4. Red – Jasmine Judy 17, Grace Williams 10, Emily Westfall 6, Haylen Irvine 6, Delaney Parsons 7, Hailey Carter 21. White – Kaylee Hoste 9, Brooklyn Smith 18, Morgan Aliff 10, Claudia Church 10, Marley Aliff 6, Jayla Gard 3, Jaiden Taylor 5, Micah Bennett 5. Red – Jaiden Vargas, Gracie Duncan, Maddy Nichols, Emma Feight, Alivia Harrington, Kayla Marlow, Kiley Dennison, Soraya Brown, McKinsie Anthony, Justice Anthony. White – Riley Jenkins, Maci Miller, Brennan Harvey, Kennedy Porter, Olivia Carpenter, Sophia Corbin, Saige Ashcroft, Camryn McLain, Jordyn Gains, Willow Richmond. Blue – Lainey Kimble, Allison Asbury, Lucyndia Bell, Katlyn Wood, Brynn Frye, Chloe Gribble, Kinley Butcher, Miley Graham, Lakyn Brown, Gabi Davis, Rylee Davis. Gold – Ashley Sewell, Malia Williams, Madison Archer, Shayleigh Gard, Hallie Scott, Brooklyn Miller, Natalie Lauer, Frances Guice, Aubrey Welch, Addison Moon, Emma Casto. Red – Lainie Johnson, Ava Parsons, Laken Collins, Isabella Wolfe, Lillie Jett, Josey Vingino, Alana Cooper, Brylee Hatcher, Micah Bennett. White – Grace Miller, Hailey Carter, Haley Holbert, Macie-Jo Harman, Ava Cool, Joscelyn Anderson, Nicole Holbert, Meadow Mowery, Rylee Wolfe. Blue – Morgan Smith, Lillie Boice, Roxie Sprague, Darby Harper, Melody Vaught, Allyson Monk, Shilyn Butcher, Melody Uppole, Avery Varner. 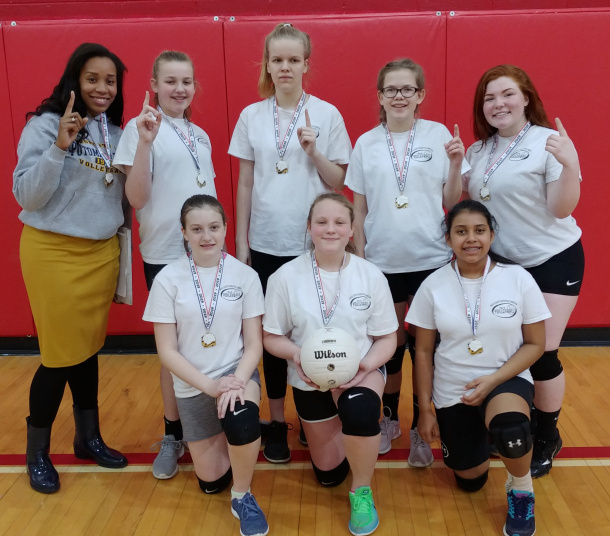 Gold – Rileigh Dennison, Aaliyah Johnson, Gracelyn Smith, Allison Mullins, Layla Jackson, Leah McFann, Kayleigh Chancellor, Ellie Nedeff, Layken Skinner. Red – Grace Williams, Haylen Irvine, Jasmine Judy, Delaney Parsons, Hailey Carter, Emily Westfall, Paige Caldwell. White –Tori Hoste, Jaiden Taylor, Brooklyn Smith, Jayla Gard, Claudia Church, Morgan Aliff, Marley Aliff. Blue – Mackenie Byrd, Courtney Winter, Kaitlyn Murray, Skylee Cox, Hallie Bigley, Amaya Elkins, Shilyn Butcher, Kayleigh Eakle. Gold – Lanie Johnson, Lindsey Johnson, Jadyn Beall, Kaylee Hoste, Logan Bowman, Morgan George, Morgan Smith. (back row) Sammy Burns, Kaylee Litman, Coach Paul Jacoby, Emily Rolston, Brooklyn Smith. (front row, L-R) Gracelyn Smith, Madison Miller, Bailey Howery. (back row) Coach Grace Williams, Shilyn Butcher, Morgan Smith, Olivia Parsons. (front row, L-R) Hanna Vaught, Brenan Harvey, Chaylen Underwood. (back row) Coach Grace Williams, Kennedy Porter, Emma Casto, Allison Asbury, Coach Mark Williams. Green – Courtney Winter 5, Sammy Burns 8, Brooklyn Smith 12, Emily Rolston 9, Kaylee Litman 7, Kaleigh Eakle 5, Kaitlin Murray 4. Blue – Jasmine Judy 7, Leightyn Harper 5, Marah Harper 6, Jaiden Taylor 9, Halee Williams 8, Mackenzie Byrd 9 . Morgan Aliff 10, Haylen Irvine 2. 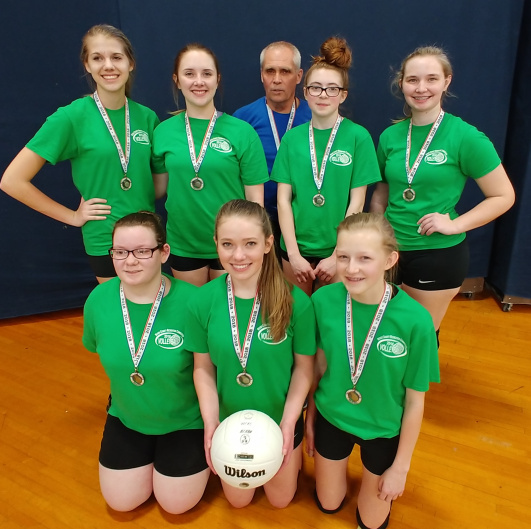 Green – Kaleigh Eakle 17, Kaylee Litman 15, Emily Rolston 6, Brooklyn Smith 6, Sammy Burns 3, Courtney Winter 6, Kaitlin Murray 10. Red – Marley Aliff 11, Morgan Aliff 17, Claudia Church 10, Haylen Irvine 2, Skylee Cox 2, Paige Caldwell 3, Grace Williams 5. Blue – Mackenzie Byrd 14, Halee Williams 7, Jaiden Taylor 7, Jasmine Judy 8, Leightyn Harper 5, Marah Harper 9. Gold – Lindsie Johnson 3, Tori Hoste 9, Delaney Parsons 4, Hallie Bigley 4, Kaylee Hoste 12, Zoey Dotson 6. Red – Olivia Parsons 20, Madison Miller 10, Morgan Smith 4, Bailey Howery 8, Gracelyn Smith 4, Shilyn Butcher 4. Black – Marley Aliff 6, Hayley Burdette 7, Abby Anderson 4, Mya Green 6, Shelby Anderson 3. Gold – Jaslyn Dixon 10, Brandice Kunze 11, Delaney Parsons 11, Rylee Parsons 6, Kaylee Hoste 14, Cami Derenberger 11. White – Natalie Donohew 5, Ashlyn Donohew 6, Hailey Carter 8, Lillie Jett 5, Jasmine Judy 5, Amelia Davis 11, Maia Johnson 7. Red – Olivia Parsons 13, Shilyn Butcher 5, Madison Miller 7, Bailey Howery 13, Gracelyn Smith 7, Morgan Smith 6. White – Natalie Donohew 8, Ashleyn Donohew 8, Hailey Carter 3, Lillie Jett 3, Jasmine Judy 6, Amelia Davis 9, Maia Johnson 3. Black – Abby Anderson 10, Hayley Burdette 10, Shelby Anderson 10, Marley Aliff 10, , Mya Green 10. Gold – Jaslyn Dixon ,6 Brandice Kunze 5, Delaney Parsons 8, Rylee Parsons 8, Kaylee Hoste 7, Cami Derenberger 6. Gold – Jaslyn Dixon 6, Brandice Kunze 4, Delaney Parsons 10, Rylee Parsons 6, Kaylee Hoste 7, Cami Derenberger 14. Green – Jayla Gard 5, Paisley Hill 9, Fiera Wells 5, Lanie Johnson 24, Gianna Ross 9. Red – Olivia Parsons 12, Shilyn Butcher 8, Madison Miller 20, Bailey Howery 6, Gracelyn Smith 2, Morgan Smith 2. Blue – Taylor Sargent 2, Kim Knopp 2, Meadow Mowery 3, Ava Parsons 2, Amaya Elkins 2, Logan Bowman 3, Kayleigh Chancellor 2. Gold – Emma Casto 7, Brenan Harvey 10, Hanna Vaught 8, Kennedy Porter 19, Chaylen Underwood 10, Allison Asbury 9. 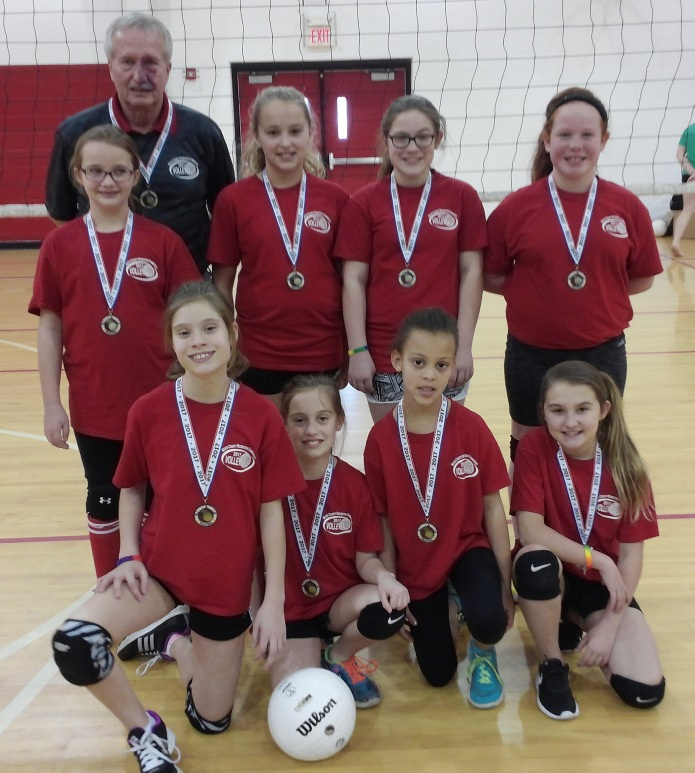 Red – Dakota Wells 10, Hollie Smith 5, Emma Kiger 8, Emma Feight 13, Makaila Coplin 6, Ava Cool 12, Jaycee Lynch 7. Green – Layla Jackson 4, Kinzlyn Plants 9, Laken Collins 7, Soraya Brown 6, Allison Mullins 6, Morgan Nelson 5, Marissa Hendershot 13. Blue – Rylee Wolfe 4, Avery Varner 5, Alyson Monk 7, Isabella Durback 5, Grace Miller 4, Delaney Howery 6. Red – Dakota Wells 10, Hollie smith 9, Emma Kiger 11, Emma Feight 11, Makaila Coplin 6, Ava Cool 8, Jaycee Lynch 7. Green – Layla Jackson 5, Kinzlyn Plants 7, Laken Collins 11, Soraya Brown 6, Allison Mullins 13, Morgan Nelson 6, Marissa Hendershot 7. Gold – Emma Casto 5, Brenan Harvey 8, Hanna Vaught 10, Kennedy Porter 10, Chaylen Underwood 9, Allison Asbury 8. Blue – Rylee Wolfe 5, Avery Varner 7, Alyson Monk 3, Isabella Durback 2, Grace Miller 6, Delaney Howery 6. Front row: Kendall Abilmona, Avery Varner, Adriana Payne and Kinzlynn Plants. Second row: Roxie Sprague, Niya McDuff, Brandice Kunze and Amelia Davis. Back row: coach John Sprague. From left: Coach Grace Williams, Isabella Gray, Madison Durkin, Molly Kemp, Logan Bowman, Alyssa Hickel, Ashley Lockhart and Sara Brace. From left: Allie Lemon, Briah Kerns, Natalie Payton, Haylee Wigal, Paige Gillian and Grace Williams. Back row: Coach Mark Williams.